APPROXIMATE LOCATIONS OF THE RAPHE NUCLEI REPRESENTED BY RED DOTS. a collection of nuclei in the brainstem that produce serotonin. 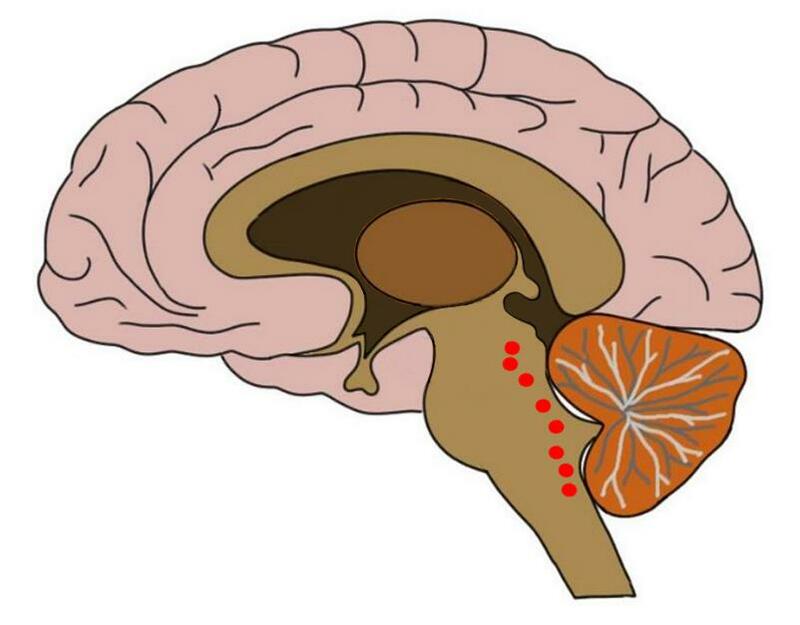 The raphe nuclei are the primary source of serotonin for the central nervous system.